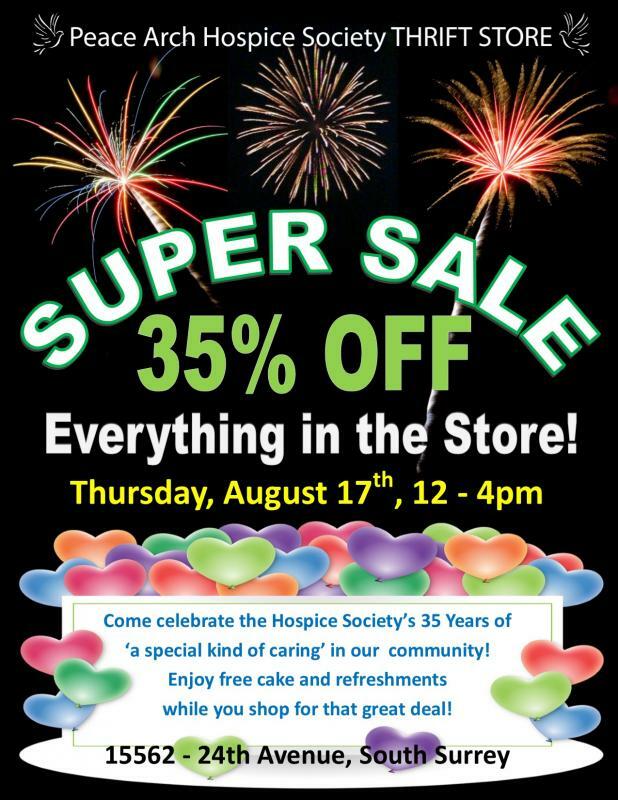 Don’t miss out on the Super Sale at our Thrift Store! Without you, we could not help others. 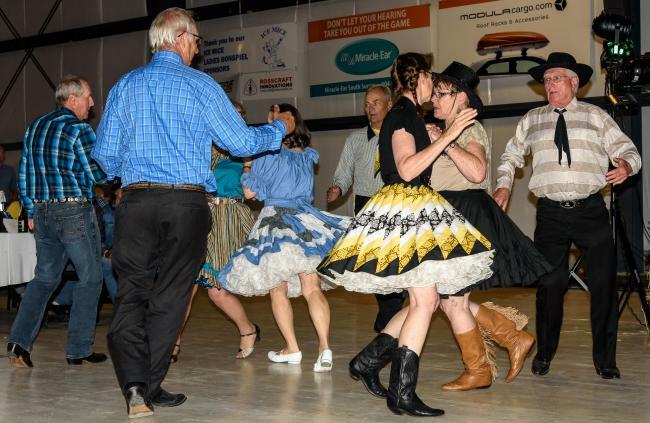 Thank you to everyone who helped make our Hospice Hoedown a ‘funtastic’ event! 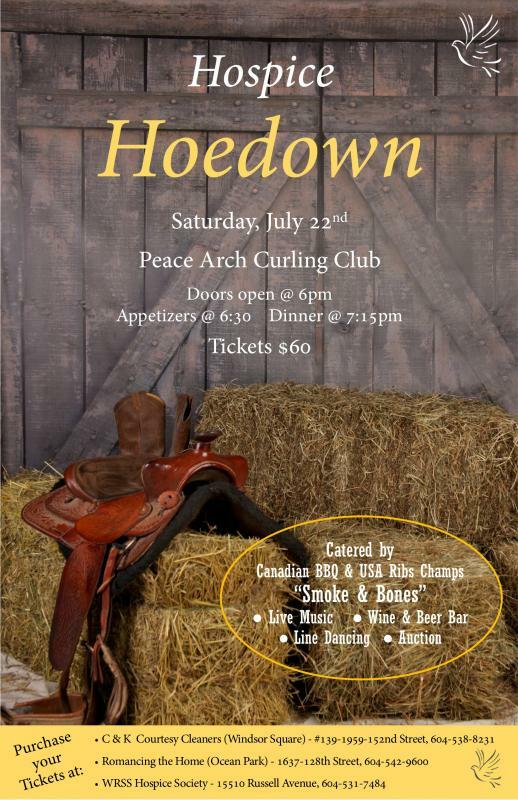 Hospice Hoedown – You’re Invited! Hike for Hospice 2017 – Thank You! 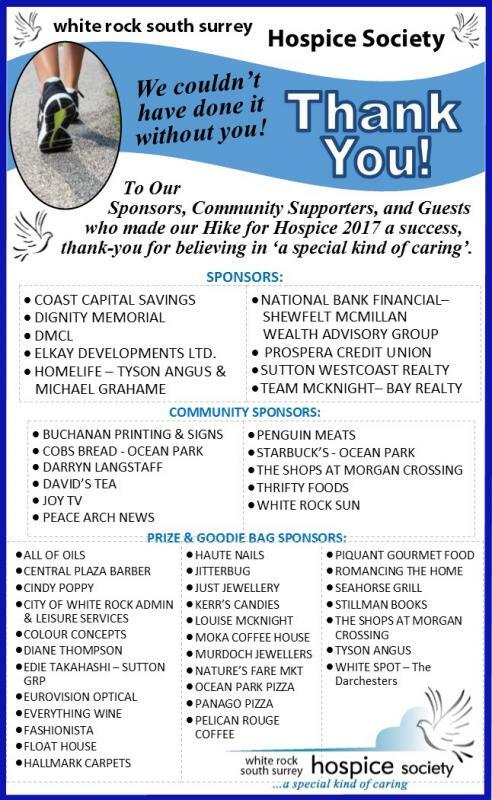 Hike for Hospice 2017 was a wonderful success with great weather, great sponsors and great community minded people! 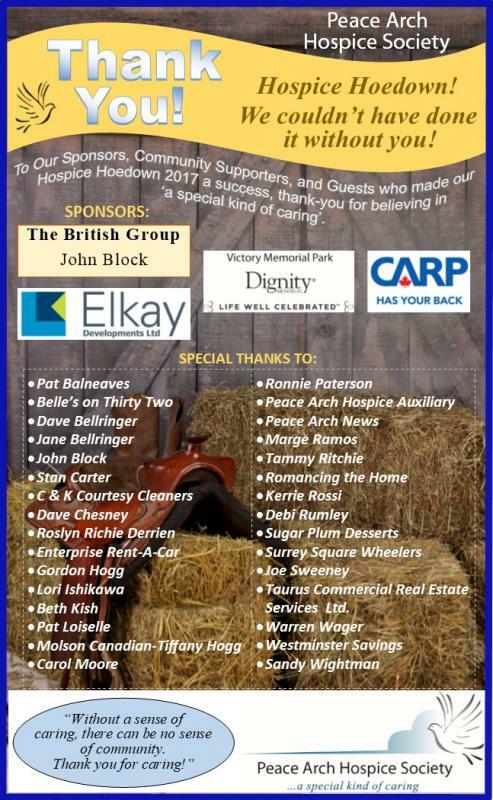 Thank you to all who supported this worthy cause. 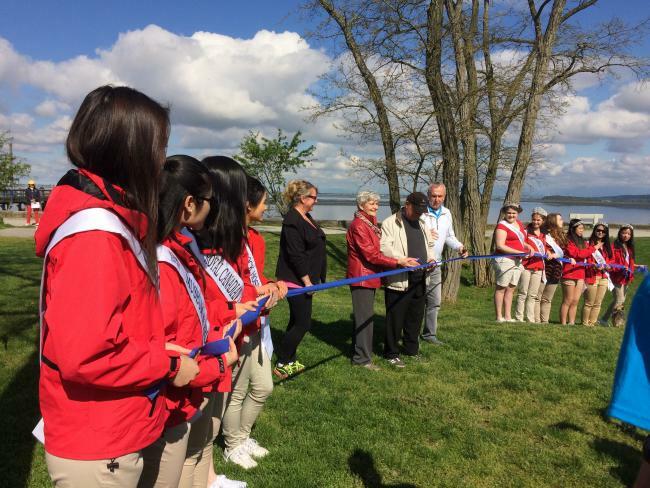 Werner and Helga Hoing cutting the ribbon to start the Hike!